Educator, MLA (1921-1922), MLA (1923-1927). Born at Winnipeg on 24 December 1879, son of William Dowell Bayley (1843-1920) and Lucy Charlotte Carney (c1836-1912), he received an education from the Winnipeg Collegiate Institute and University of Manitoba (BA, philosophy and political economy). He was ordained as a United Church minister but worked for the majority of his career as a teacher. He served as the Principal of King George School in Norwood (1920-1921). Dismissed by the St. Boniface School Board in August 1921 for alleged unorthodox religious views, he was reinstated in late October then was dismissed again within the next three months. By February 1922, he was teaching at Woodsworth School in the Brooklands School District. 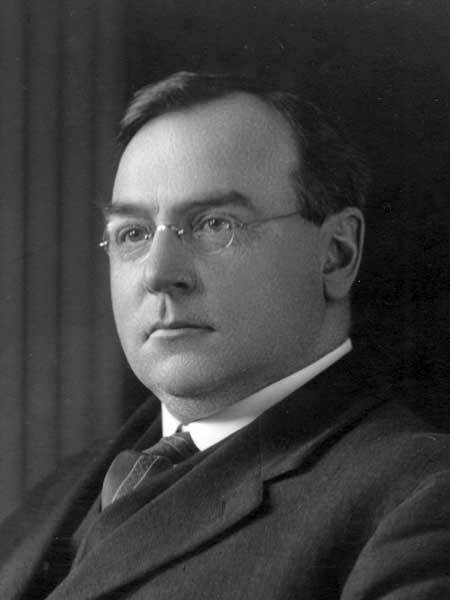 After being defeated in the 1915 provincial general election, he was elected to the Manitoba Legislature in 1920 and was re-elected in 1922, becoming the first public school teacher to serve in this capacity. He did not seek re-election in 1927. Active in the temperance movement, he took part in the prohibition drive in New Zealand in 1918 and serving as head of temperance education (and also director of correspondence courses) in the Manitoba Department of Education, opposing efforts to liberalize Manitoba’s liquor laws, between 1927 and 1931, and again from 1942 to 1943. On 7 May 1907, he married Grace Ann McRae (1881-1942), daughter of Allan McRae of Winnipeg. They had two children: Allan Kilburn Bayley (1908-1952) and Grace “Isabelle” Bayley (1912-1993). He died at Winnipeg on 5 November 1955 and was buried in Montreal, Quebec. The Canadian Parliamentary Guide, 1922. “Legislator’s father, Winnipeg pioneer of 1872, passes away,” Winnipeg Tribune, 14 August 1920, page 1. “W. D. Bailey [sic], Sr., dies; resided here 48 years,” Winnipeg Tribune, 14 August 1920, page 6. “Norwood School pupils’ parliament,” Winnipeg Tribune, 5 November 1920, page 11. “Principal W. D. Bayley resumes duties at King George School,” Winnipeg Tribune, 24 October 1921, page 1. “School Principal asked to explain,” Winnipeg Tribune, 12 August 1921, page 5. “School Board ’fires’ Bayley; plan appeal,” Winnipeg Tribune, 13 August 1921, page 6. “Teachers’ Federation supports W. Bayley,” Ottawa Journal, 16 August 1921, page 13. “Board decides Bayley should be reinstated,” Winnipeg Tribune, 5 October 1921, page 3. “Delegation will ask Bayley reinstatement,” Winnipeg Tribune, 19 January 1922, page 11. “Bayley reinstatement asked in resolution,” Winnipeg Tribune, 20 January 1922, page 1. “Developments of week in sister provinces,” Vancouver Daily World, 25 February 1922, page 27. “Brooklands,” Winnipeg Tribune, 11 April 1922, page 7. “Mrs. W. Bayley, pioneer, dies,” Winnipeg Free Press, 24 June 1942, page 4. “W. D. Bayley, temperance worker, dies,” Winnipeg Free Press, 7 November 1955, page 36. Times of Trouble: Labour Quiescence in Winnipeg 1920-1929 by David Edward Hall, MA thesis, University of Manitoba, 1983, page 76. Richard Carney of Portsmouth, England by Donald Carney.